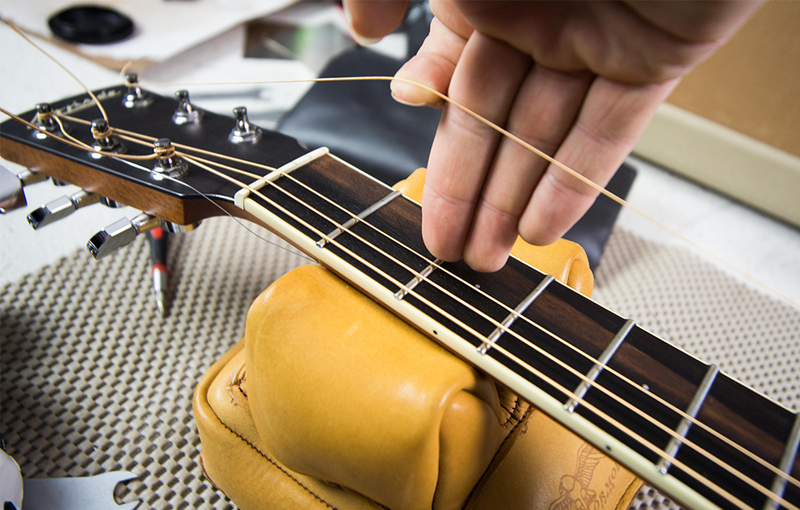 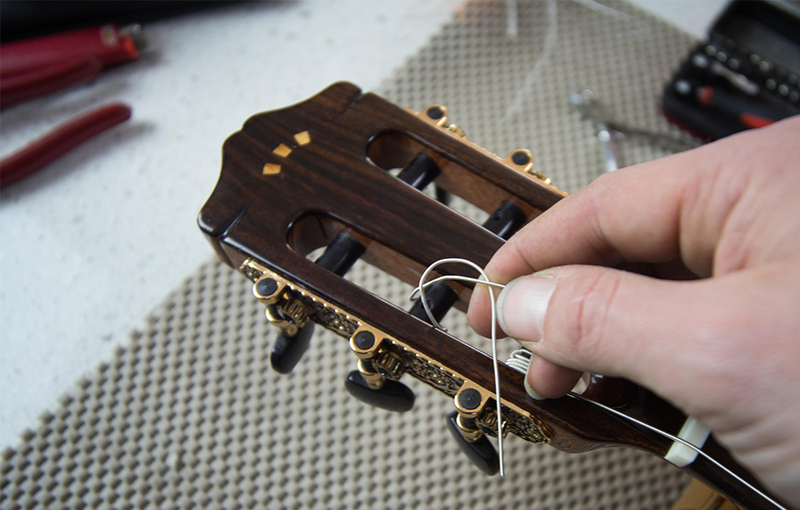 How a string is wrapped onto a tuning machine’s post can have a dramatic influence on how the string maintains its tuning, how much tension is put on the string, how that string will feel when it’s fretted, and how long the string might last. 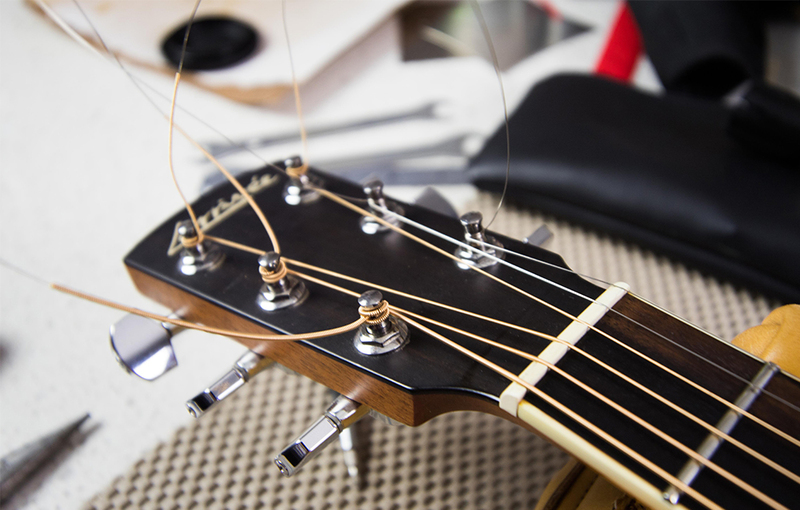 Tuning machines are an integral component to the guitar’s construction. 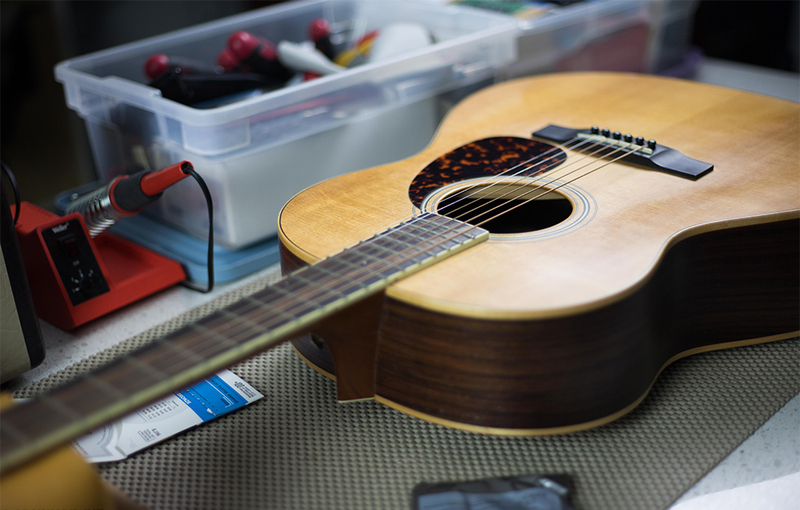 Over years of development, manufacturers have found a way to produce a tiny worm gear integral to a guitar's machine head that can maintain anywhere between five to fifteen pounds of tension without breaking. 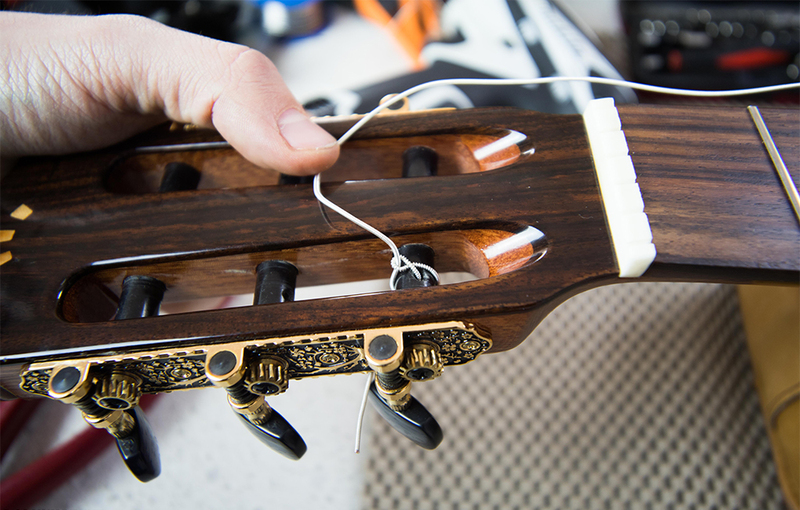 They are fascinating little mechanisms. 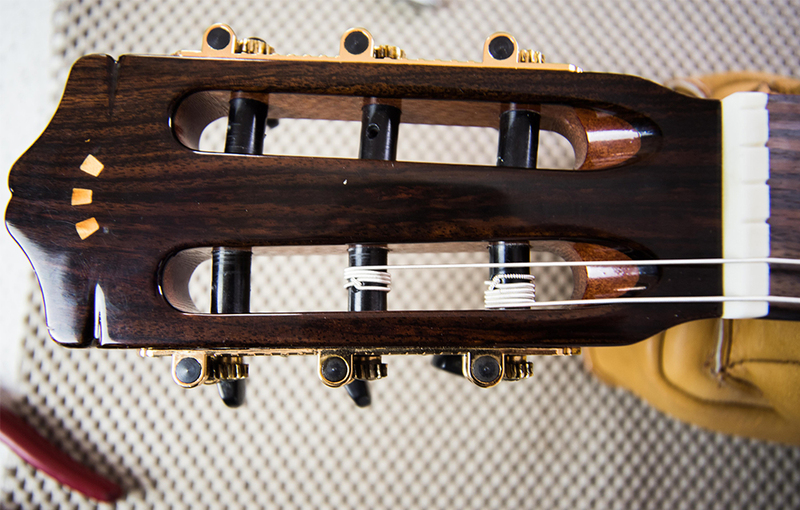 However, one of the more interesting features of modern tuning machines is curiously one of the more overlooked: the fluted post. 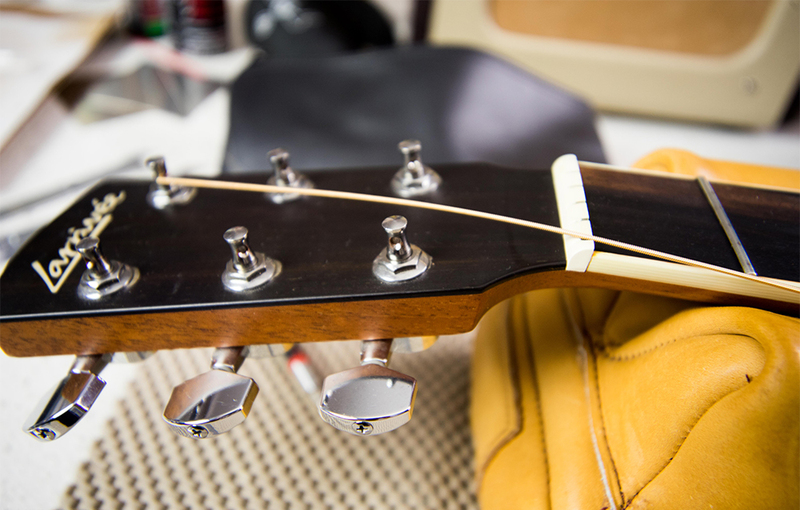 Have you ever noticed how a tuning machine’s post-hole is on a concave decline? 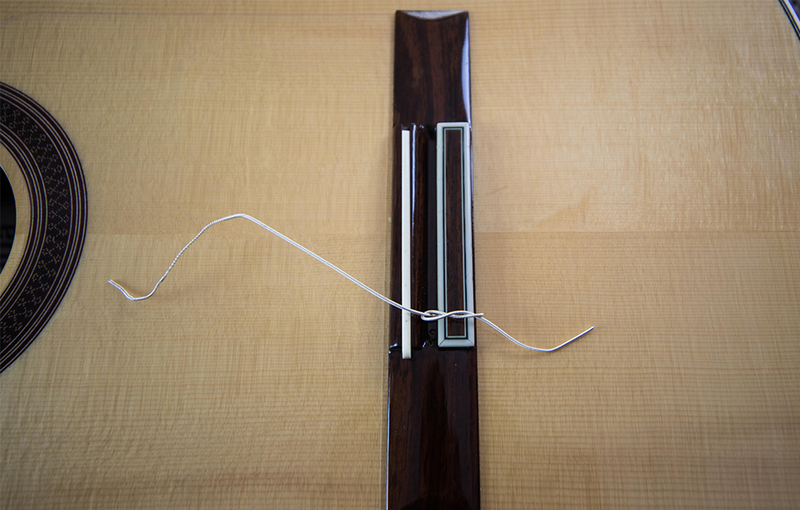 The “fluted” section of the post is there to push the string into itself as it wraps around the post. 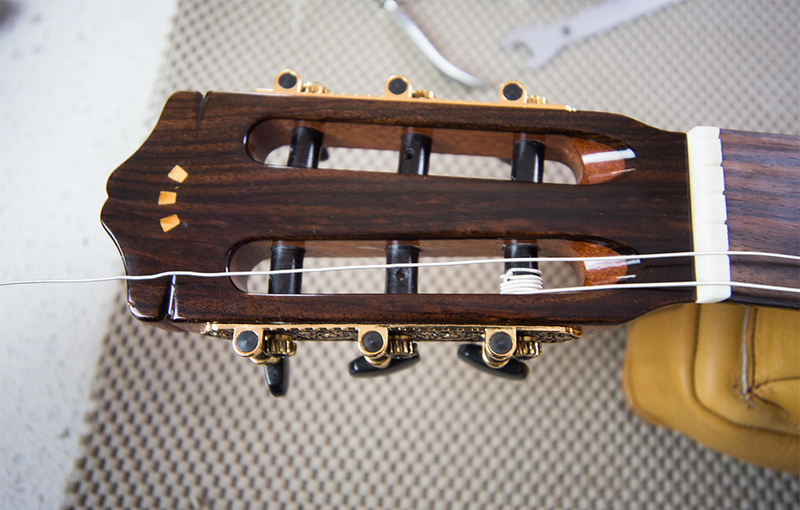 It’s a kind of self-contained pressure-locking system for the string, and it works wonders. 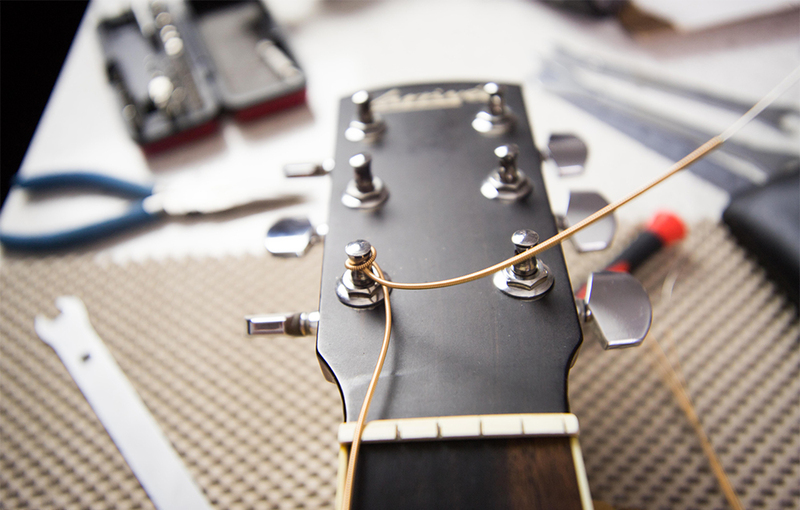 All that’s needed to enjoy this peculiar marvel of engineering is a specific method of wrapping the string around the post. 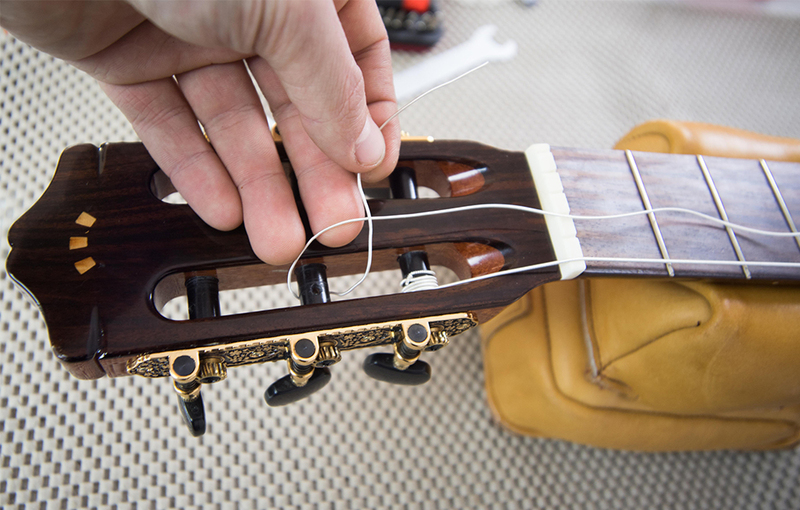 With the plain end of the string, go around the post, through the hole, under the slacked string, then pull tight. 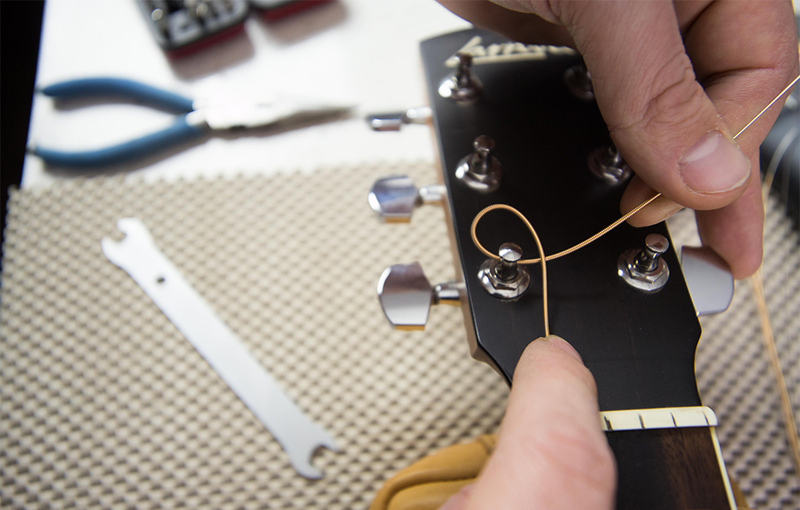 As you tune up, the string coils tightly around the post. 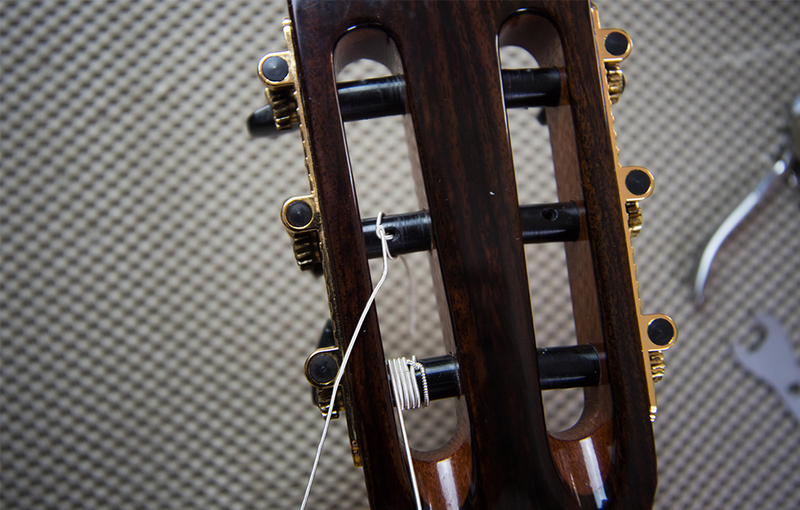 But if you tighten some more and push the wraps into each other, the string squeezes onto itself, locking it to the post. 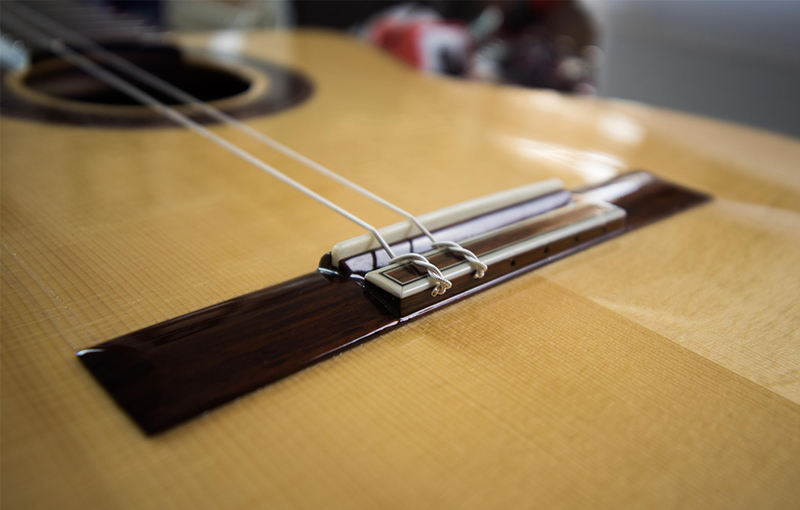 Not only will this help keep the string in tune, but it can also have a dramatic effect on how that string plays—the number of wraps on a post helps determine the break angle of the string from the post to the nut. 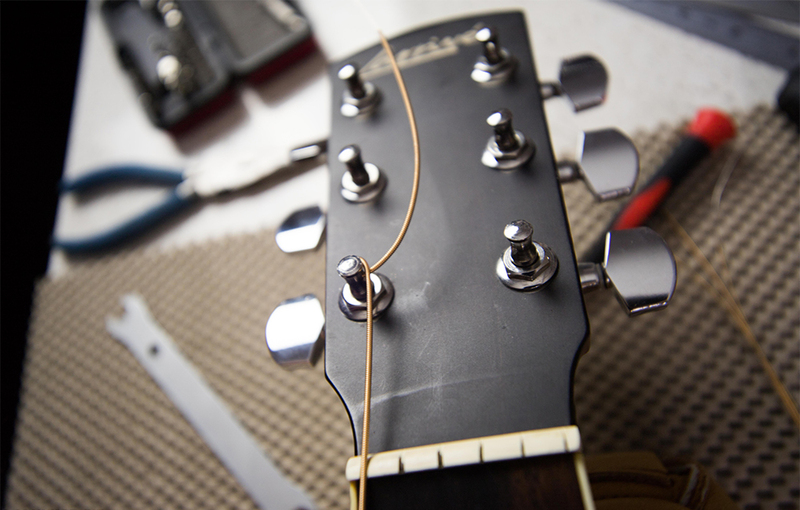 If the angle is steeper, there’s more tension. 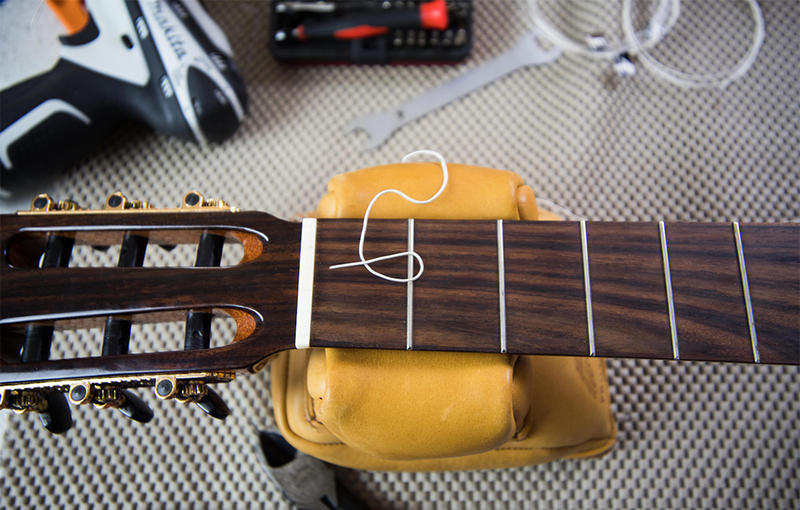 This can be controlled by the amount of slack a string has before being tuned to pitch. 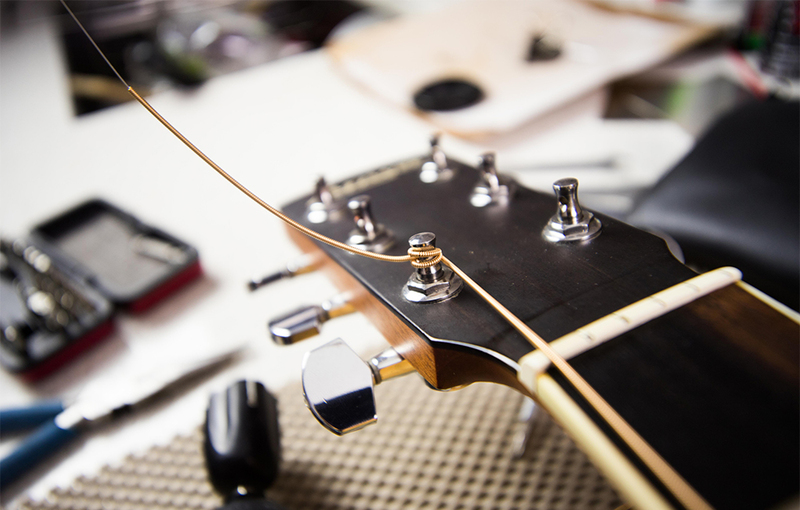 The slacker the string, the more wraps on the post. 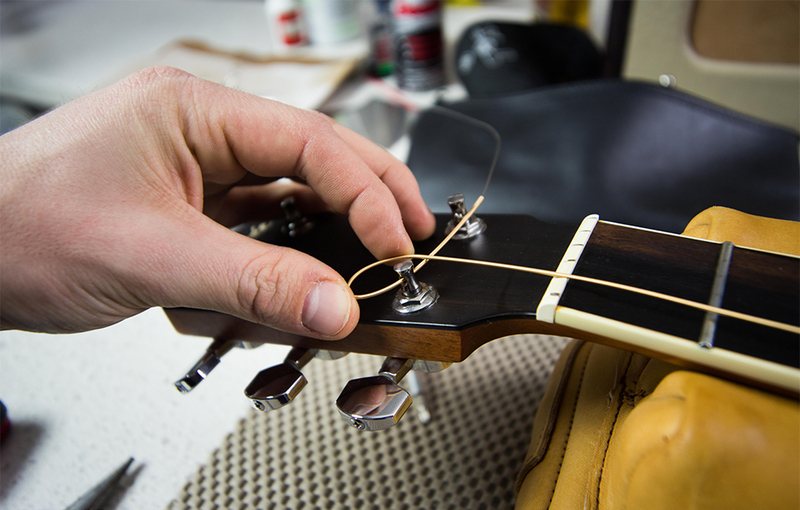 No matter how many wraps a string may have on its post, it’s important for the string to not overlap on itself. 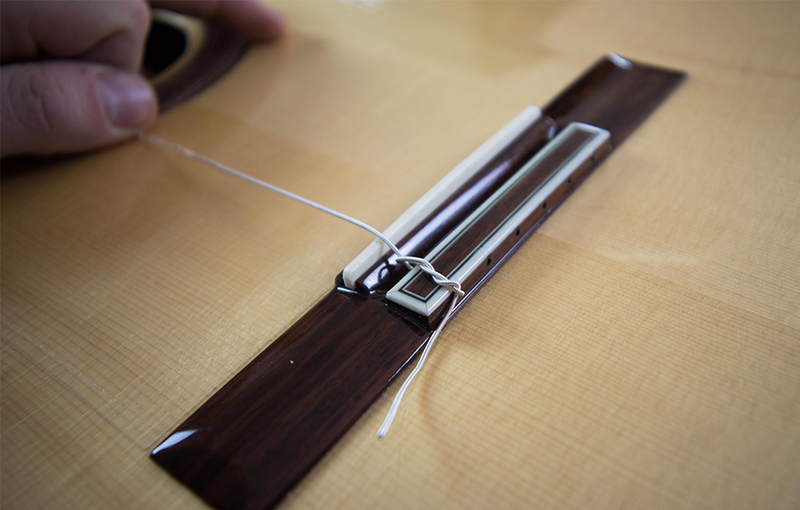 There are varying schools of thoughts on this to be sure, but a tight coil pressing into a slacked coil can definitely break the string on the post more easily than players would like.